The project was developed with Expert System and will be implemented in Spain in the first quarter of 2018. During the first stage, approximately one million emails will be classified to sensibly improve efficiency, speed of processing and cost saving. GENERALI has signed an agreement with Expert System to implement Artificial Intelligence in its work process in Spain, in the first quarter of 2018. As part of its innovation and digitalisation strategy, GENERALI will implement Expert System’s Cogito technology to classify large volumes of unstructured information using cognitive computing. During the first stage, the project will focus on registration and claim processing, however, the plan is to extend the application of this technology to other areas of business. The project, which was tested with excellent results, will allow to automatically classify the approximately 1 million emails that the insurance company receives every year in areas involving its customer service. When it receives an email or a physical document, Cogito will automatically redirect it to the department in charge of dealing with the matter, ensuring it is processed smoothly and swiftly. The information received will be classified based on management criteria including more than 200 categories and the system will also detect if any required documents are missing. 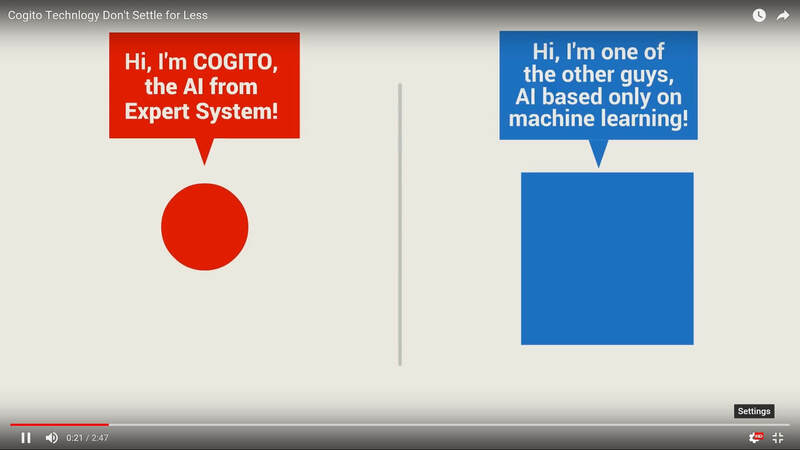 Cogito, Expert System’s cognitive computing technology, reads, understands and responds to the user’s needs to improve and increase decision making, simulating the process followed by the human brain when it receives and reads new information. Once the operating criteria have been implemented, the software is designed to function autonomously and faultlessly, 24 hours a day, every day of the year. This process considerably saves time and reduces costs, allowing GENERALI to offer better customer service, as it speeds up all processes part of the insurance company’s day to day business. The project highlights GENERALI’s efforts to focus on innovation and digitalisation through initiatives that enable the Group to work in a simpler, smarter and faster way.